We are a community pharmacy in St Albans which has been providing high quality personal pharmaceutical services to the residents of the local community for many years. Find out more about our prescription services, as well as other NHS and private services by browsing through our website. We stock a wide range of prescription products in our pharmacy, so can dispense most prescriptions whilst you wait in-store, or in-time for your repeat prescription. Find free information about hundreds of conditions and treatments online, or come in-store and speak with a trained member of our specialist team. Browse through hundreds of health conditions and treatments online. Quadrant Pharmacy is your local NHS pharmacy offering a fast, efficient dispensing service combined with highly trained accessible staff, to advise and support on all your health related queries. The main focus in our pharmacy is YOU and YOUR HEALTH. We aim to provide services that support you to with your long-term conditions, prevent ill health, and treat sickness. Face to face patient care and understanding is the key to all aspects of the services we provide. 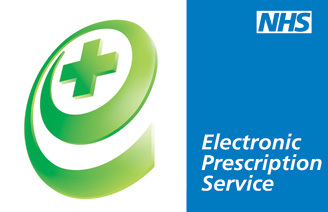 Find out more about prescription services, as well as other NHS and private services by browsing through our website. We know everyone is busy, that’s why we offer free, online repeat prescription ordering. Register for this service and order your repeat prescription online at any time that is convenient for you. Please note that our opening hours may vary on bank holidays and festive period. Please ask in-store or call us before travelling. Alternatively, click here to view the NHS website.